Jumpsuits or Playsuits? For the Day or for the Night? Woman jumpsuits. One of this summer trend are jumpsuits. They’re super smart because you don’t need to match them: you just put it on and add accessories. Not bad ;) Do you remember the playsuit I wore during my trip to the Guadeloupe Islands? :) They’re also really comfortable on the beach! Today I decided to collect some pictures of cute outfits from which you can take inspiration to create your own jumpsuit look… and a personal shopping guide with some hints about where to buy them. Woman Jumpsuit: long or short? For day or night? Some advice? Playsuits (short) are better for the day. They’re easy and perfect for the beach. Choose them with prints or nice details. For the night choose long jumpsuits: the coolest are those with palazzo pants or culottes! 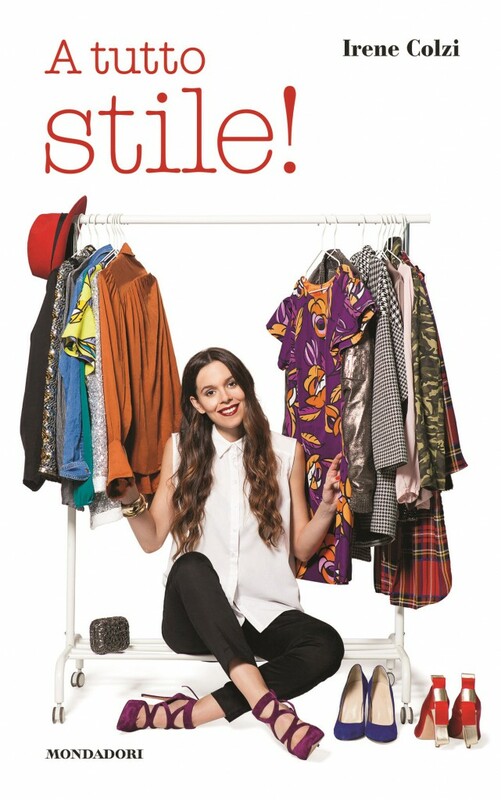 MANY MORE STYLE TIPS HERE! CHOOSE WHAT YOU WANT! Travel in Provence. If you’ve followed me on Instagram, you’d know everything about my latest exciting trip in the wonderful and authentic Provence, in the south of France. L’Occitane guides me in the discovery of this amazing land that offers precious natural treasures, fundamental ingredients for our beauty. Travel in Provence: hot-air balloon, lavender and Provençal villages! L’Occitane welcomed us in the best possible way at Le Couvent Des Minimes hotel – SPA , an incredible hotel surrounded by the nature of Provence. Apart from the design of the rooms and of the whole facility, the best part is the SPA by L’Occitane, where beauty therapists give you advice on the best face and body treatments, choosing the most appropriate products to your personal needs. Giova and I enjoyed a treatment for couples of 1 and a half hour, for the face and the body. They recommended me products from Immortelle Precieuse (Anti-Aging and prevention line) and Angelica (Hydration and Vitality) that you’ll see in my video report. Little Black Dress, a Touch of Yellow and Our Plans for Summer Vacations on the Way Back from Provence! Little black. Woooooow!! 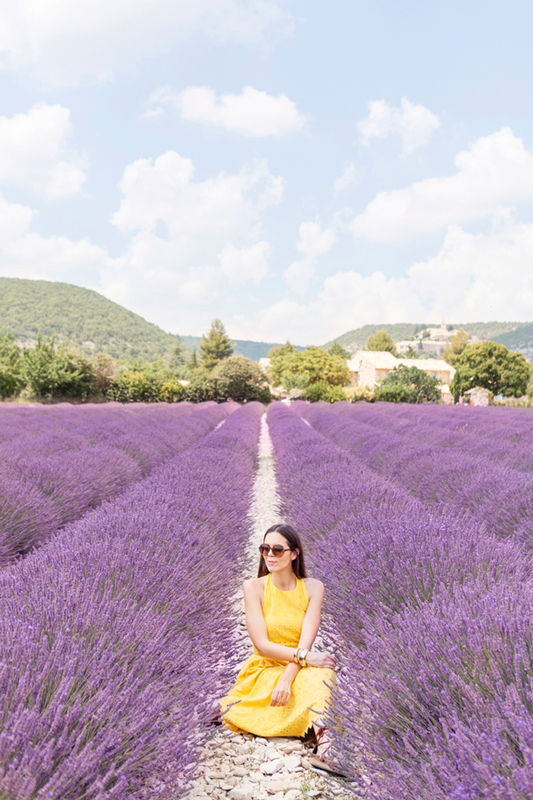 I’m on my way back from two wonderful days in Provence with l’Occitane, surrounded by lavender and sunflowers, among picturesque villages and incredible fragrances. Soon, very soon, I’ll tell you all about that: just give me the time of making a (very difficult) selection of the photos we took and to edit the video that we shot… it’ll be great!! In the meanwhile I’d like to keep you updated about our plans for summer holidays. This year we’ll do all at the last minute: these last months have been super intense and until few days ago we had no idea when we would have some time to rest and relax a bit! We haven’t decided yet and we don’t know where we’ll end up at last (There’s no need to say that I prefer mountain! ).Who knows?! And you, where are you going?? But… today I’ll show you one of my recent outfits with a fluttering dress designed by my friend Maria from the Spanish blog Stella Wants to Die for FeatherPalm. I matched it with two long necklaces that I love because they have pendants made out of vintage Chanel buttons! A touch of color in the shoes and in bag and the look is done! What do you think? Do you like it? MY REPORT FROM EXPO: DON’T MISS IT THIS SUMMER! 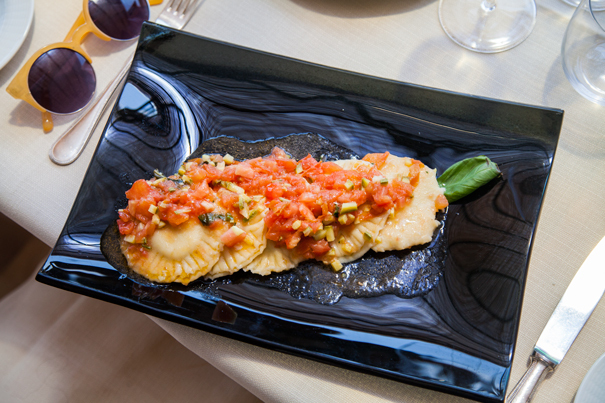 Homemade Ravioli Recipe: Irene in the Kitchen! Homemade ravioli. Hello my dear friends!! During our staying at “Il Ciocco” in the heart of my Tuscany I definitely put myself to the test. You know that I LOVE FOOD, eating and discovering new places where you can eat good local specialties when I’m travelling. A different thing is cooking: I like cooking, but, since I haven’t got much time I can’t practice it! Because of our jobs we hardly ever eat at home and when we do the menu is: salad, take away, a quick plate of pasta or a steak. To be honest, my culinary skills are extremely basic! So I jumped at the chance when Simone, the chef of Il Ciocco, gave me a proper cooking lesson. We couldn’t stop laughing! Just chopping the vegetables into small pieces of the same size was a big deal for me: it took me half an hour . Another problem was that my arm were too weak to knead the dough! But, believe me ladies, with only a little help, the result has been amazing and you can see it this video. Please leave comments, question and ideas! Natural and bright makeup tutorial! My morning routine: from alarm to makeup and creating the outfit! Video diary from the Guadeloupe Islands. Travel Kit: All You Need for Summer Vacations! Travel Kit. Ready…go! Are you excited?! And are you ready to face summer holidays? I definitely am, I can’t wait! :) In the meanwhile, today I’d like to tell you about my ultimate Travel Kit: are you sure that you took everything you need? Didn’t you forget anything??? LIQUIDS AND HAND LUGGAGE: HOW I ORGANIZE MY MAKEUP BAG FOR A TRIP! It doesn’t matter if you’re at the seaside, in the city or on the mountains, my advice is to buy a guide book about the place you’re visiting. It can be nice just relaxing on the beach but it’s always better get to know the place not just a tiny spot near the hotel. You’ll find many ideas to fully enjoy your trip. ;) Are you tired to hold it in your hand all the time, during the tour? Try this smart items! CAMERA, SELFIE STICK… SMART PHONE LENS! A trip is not a trip if you don’t create lifetime memories. So bring a camera with you. An handy alternative? Lens for your smartphone like this iPhone Camera Lens or lens + cover: but remember to clear the memory of your mobile before leaving!